A couple of us ladies are working on our costumes for this weekend. How does a Steampunk Alice and Cheshire Cat sound? 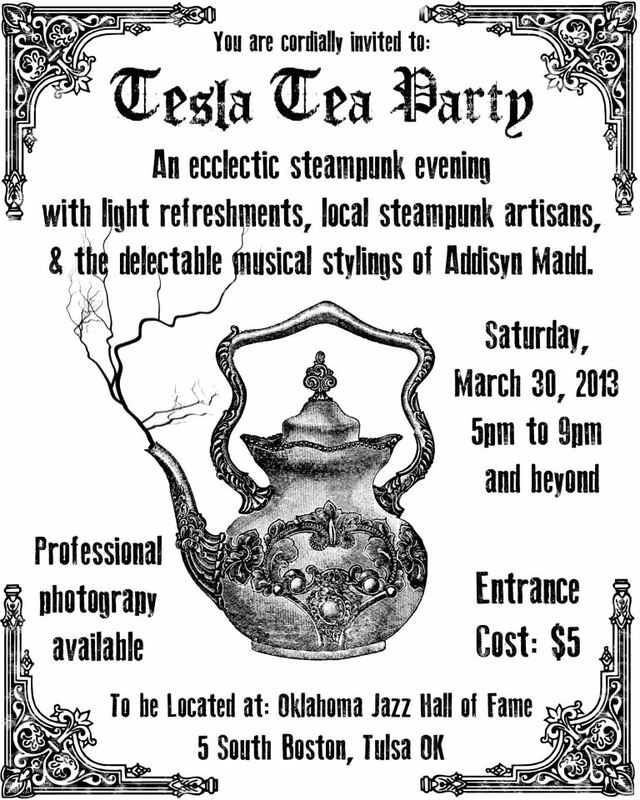 We’re planning to enjoy ourselves at the Tesla Tea Party in Tulsa Oklahoma. The venue looks beautiful and I can’t wait to get pics in front of this old converted train station (now a Jazz Hall of Fame). We hope you plan to join us! If you are there, come by and say “Hi!” because we love seeing people (and cute cat girls too). Bring your camera and snapshot some memories… or better yet, let the professionals capture the memories for you! This entry was posted in Announcements, Conventions.